If you are trying to fight the nasty Candida albicans that may be making you sick, then you’ll need to know the anti Candida diet guidelines, so you can knock them out cold and reclaim your health. Let’s start by getting the bad news out of the way and talk about what foods you have to avoid, at least for a while until you get the bacteria under control. All sugars and sweeteners, including fruit, fruit concentrates, honey, syrups, malts, artificial sweeteners, and any other sweet thing you might think you could get away with…you won’t. Candida feed mainly off sugar! Okay at this point you may be looking at the list and wondering exactly what you can eat when all those foods are off the list. Don’t worry, there are still loads of things to eat, it just takes a little getting used to. What foods can you eat on the anti Candida diet? So as you can see there is a wide selection you can still choose from. Yes it means you may have to learn a few culinary skills you may not have had before. Yes it means you will have to learn to eat new foods. But all is not lost; you will still be able to eat loads of nice things. 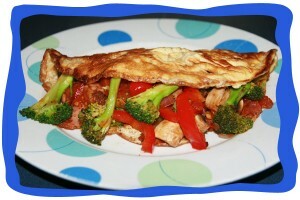 *For breakfast you will eat a huge loaded omelet filled with turkey meat and vegetables. Or you could have some Candida friendly bread with nut butter or avocado and tomato. 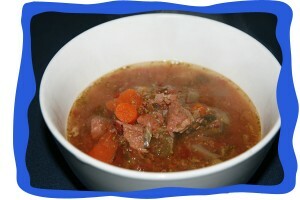 *For lunch you might eat a hearty beef stew, a salad with fish, or chicken patties and vegetables. *For dinner it may be some meatloaf with baked potato and roast vegetables, a homemade pizza, or stir-fry rice noodles with beef and vegetables. *Snacks would be sliced vegetables dipped in nut butter, guacamole, or hummus, or some leftover meat cuts. It’s really not the end of the world to have to follow an anti Candida diet. You’ll still be eating like a king (or queen) and within no time at your symptoms will pass and you’ll be able to start introducing a few of your favorite meals once again. Jedha is a health and wellness practiitoner who is passionate about promoting natural health solutions. Jedha has 2 sites 1. Paleo Weight Loss Coach shares lots of tips about how to lose weight with real food that gets real results, and how to get healthy, be happy and think positive. 2. Easy Natural Remedies shares info on how to use nature's solutions for a healthier, happier life. This entry was posted in Specialty Diets and tagged anti-candida-diet-guidelines, are-rice-noodles-ok-on-candida-diet, blog-diet, can-cactus-juice-help-fight-candida, can-you-have-egg-noodles-on-the-candida-diet, candida-diet-blog, candida-diet-guidelines, diet-blog, diet-blogs, diet-gust, feeling-so-cold-with-this-anti-candida-diet, how-to-gain-weight-on-anti-candida-diet, list-of-diet-guest-blogs, nopalea-amazon-scam, nopalea-candida, nuvoryn-leave-a-comment-leave-comment, rice-noodles-ok-candida, weight-gain-blog-commenting-sites, what-can-i-eat-for-breakfast-on-candida-diet-while-pregnant, while-you-lose-weight-on-candida-diet. Bookmark the permalink.